The messes of the Wilaya of Auserd have received on Wednesday the Personal Envoy of the Secretary-General of the United Nations to Western Sahara, Horst Koehler, who arrived in the camps on the second leg of his first visit to the region, in the framework of his first tour to revival negotiations between the two parties to reach a solution that guarantees the right of the Saharawi people to self-determination. Upon his arrival in Auserd, he was greeted by units of the Sahrawi People’s Liberation Army (SPLA), where he was received at the entrance of the Wilaya by the members of the Secretariat, the Government, the National Council, the Bureau of the Advisory Council, the Presidents of the Constitutional Council and the Supreme Judicial Council. 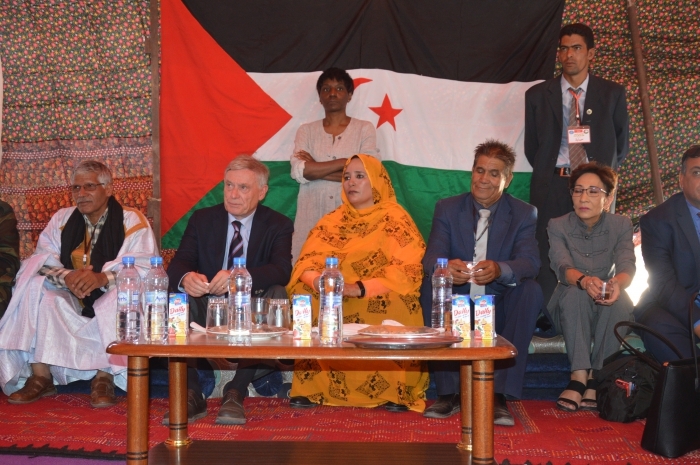 For her part, Governor of the Wilaya, Mrs. Mariam Salek Hamada, after welcoming the Personal Envoy and his accompanying delegation, renewed the confidence of the Sahrawi party in the new envoy to move the peace process in Western Sahara. Mariam went on saying that the Saharawi people are looking forward to finding a quick solution to the long-running Western Sahara conflict, applauding Mr. Kohler’s experience in the international politics. This entry was posted in General, Human Rights, Political issues, Self-determination on October 18, 2017 by appleton. 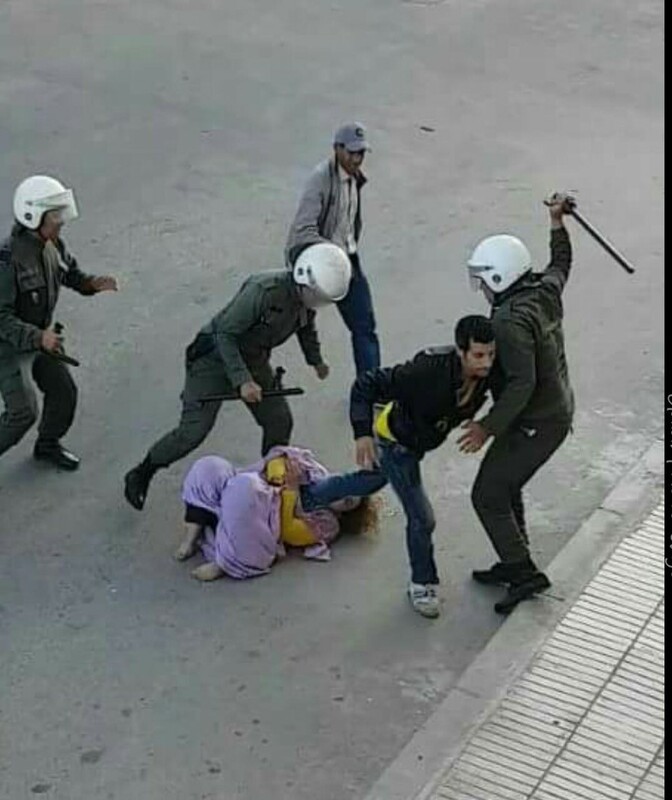 Saharawi human rights activist, Sultana Kahya, was taking part in a peaceful demonstration recently in support of Saharawi political prisoners but when she waved a Saharawi flag, it was forcibly confiscated and she was beaten by police and security officers (some in plain clothes). This entry was posted in Political issues on October 6, 2017 by appleton. 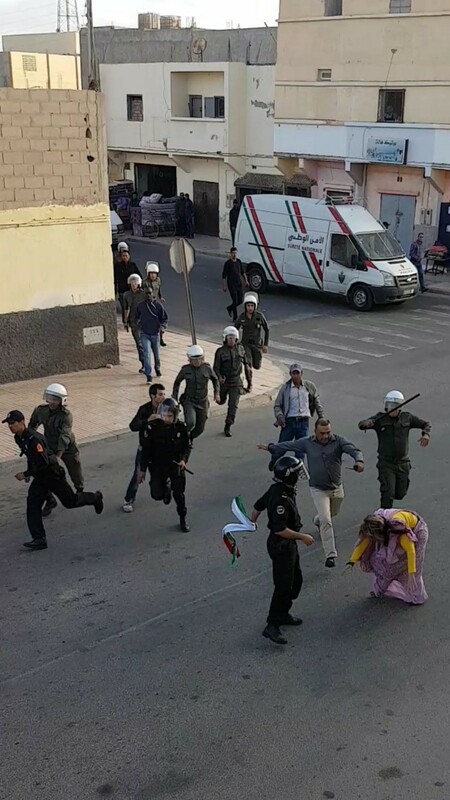 El-Aaiun (Occupied Terrritories), Sep 22, 2017 (SPS) – Moroccan forces carried out a violent attack on Sahrawi demonstrators in the occupied city of El-Aaiun on Thursday, to express solidarity with Saharawi political prisoners in Moroccan prisons and condemnation of the disperse of Gdeim Izik’s prisoners. 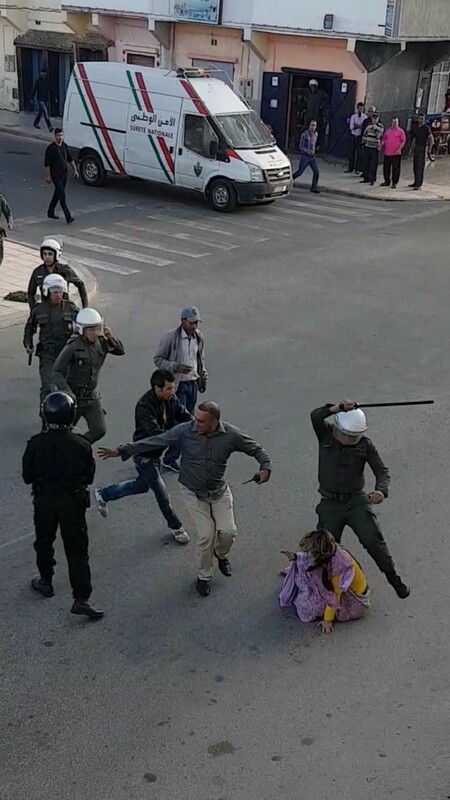 The Moroccan forces imposed a siege on the neighborhoods that lead to Smara Street and houses of families of the prisoners, before carrying out their assault on the demonstrators. 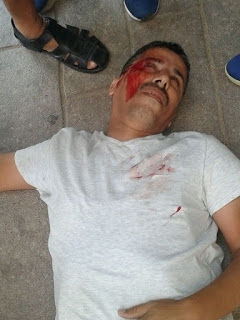 The intervention was resulted in multiple injuries among the demonstrators, some of them in critical conditions, which required their transfer to hospital such as: Aziz Biza, Bashri Bentaleb, Hasana Duehi, Mina Abaali, Zaina Ashtuqui , Bushra Azafati, Embarka Bani, Maluma Abdalahi and Raguia El Hauasi. 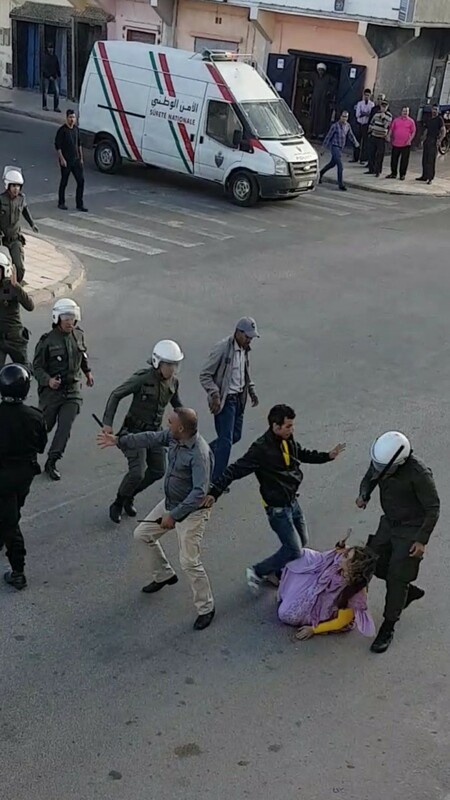 According to sources from the Occupied Zones, Moroccan police forces still maintain a strong siege on the main streets of the occupied city of El-Aaiun, in anticipation of more demonstrations in solidarity with the Saharawi political prisoners. This entry was posted in Human Rights, Political issues on October 6, 2017 by appleton. Al-Arjat Prison (Morocco) 16 September 2017 – The Moroccan forces on Saturday carried out the abusive transfer of Sahrawi political prisoners of Gdeim Izik from Al-Arjat prison to other Moroccan prisons, according to a Saharawi media source. 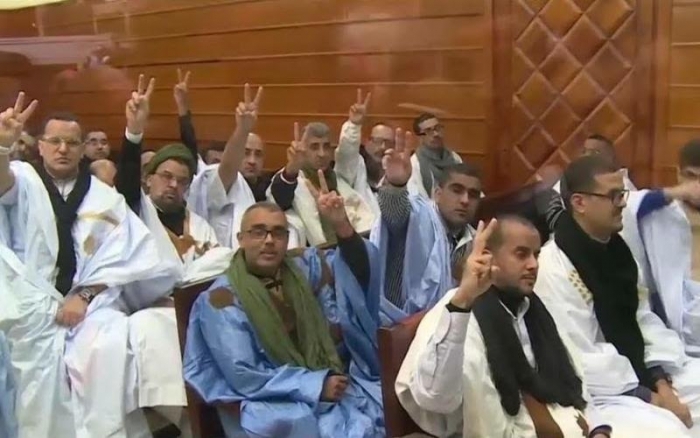 The Moroccan forces on Saturday carried out the abusive transfer of Sahrawi political prisoners of Gdeim Izik from Al-Arjat prison to other Moroccan prisons, according to a Saharawi media source. The families of the Saharawi political prisoners of Gdeim Izik group confirmed that Al-Arjat prison guards attacked the prisoners’ cells and forcibly transferred them to other prisons. The political prisoners of Gdeim Izik group are probably transferred to the Moroccan prisons of Knetra and Ait Melloul, where the Moroccan authorities have just completed some works in these prisons, added the source. EU Commission contravening ECJ ruling and breaching principles of international law, warn Green MEPs Florent Marcellesi, Bodil Valero, Barbara Lochbihler, Pascal Durand, Bart Staes and Margrete Auken, Members Of The European Parliament From The Greens/EFA Group. The December 2016 ruling by the European Court of Justice reaffirmed that Morocco had no sovereignty over Western Sahara and put an end to 16 years of (illegal) application of the EU-Morocco trade agreements in relation to that territory. The Commission and the Member States have been at pains to find a solution that would conform with the ruling, yet placate their Moroccan partner. In other terms, the EU has embarked on an illusory attempt to square the circle of upholding European law while continuing to support the decades-long violation of international law that constitutes Morocco’s occupation of Western Sahara. The Personal Envoy of the Secretary-General for Western Sahara, Horst Koehler, took up his functions on 8 September in New York, where he held meetings and consultations until 16 September. Mr. Koehler met with the Secretary-General and senior United Nations officials, representatives of the parties and neighbors, Member States and the African Union Commissioner for Peace and Security. The Secretary-General welcomed the intention of his Personal Envoy to travel to the region. He stressed the importance of the visit to help re-launch the political process in a new spirit and dynamic, in accordance with Security Council resolution 2351 (2017). Mr. Koehler looks forward to travelling to the region and engaging with the parties in a spirit of trust and compromise. This entry was posted in Political issues on September 17, 2017 by appleton. The Moroccan state company OCP has decided to drop defending the detained conflict mineral cargo in South Africa. 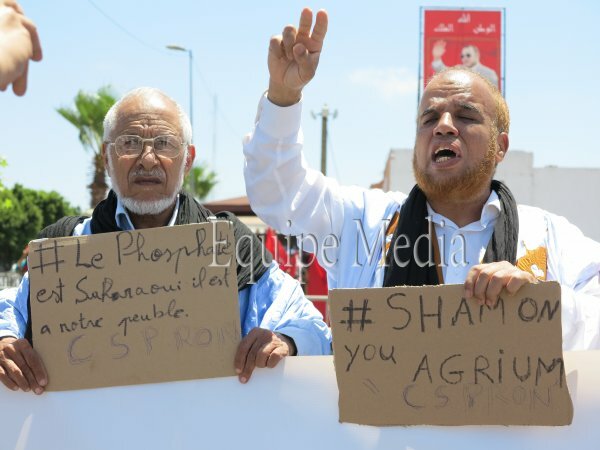 The Saharawi people thus won a 5 million USD walk-over victory before the trial over phosphate rock ownership even had begun. On 1 May 2017, the bulk vessel NM Cherry Blossom was detained in Port Elizabeth, on a stop-over to New Zealand. The vessel contained 55.000 tonnes of phosphate rock from occupied Western Sahara. The UN has concluded that any exploitation of resources in Western Sahara would be illegal if the Saharawi people do not consent to it. Similarly, the Court of Justice of the EU on 21 December 2016 judged that trading with the territory would be illegal without such consent. However, Morocco, illegally occupying parts of Western Sahara since 1975, has kept the exports of Western Sahara phosphate rock. In 2016, Morocco earned over 200 million USD from the rock export from the territory. The second biggest importing country is New Zealand, where two farmer co-operatives import from the occupied territory. This entry was posted in Human Rights, Phosphate importation, Political issues, Self-determination on July 15, 2017 by appleton. 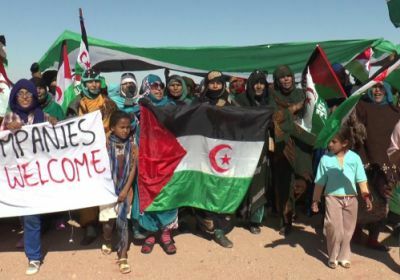 The government of the Saharawi Arab Democratic Republic (the SADR) and the Saharawi national liberation movement, the Polisario Front, welcomed an announcement today that there would be no further defence of a case by Morocco’s state company OCP SA over a cargo of phosphate mineral rock detained under court order in South Africa. The 55,000 tonne cargo had been illegally exported from occupied Western Sahara in April for delivery to the New Zealand fertilizer company Ballance Agri-Nutrients Limited. Carried aboard the m.v. NM Cherry Blossom, it was detained on May 1 under a civil court order after an application by Saharawi authorities in South Africa’s High Court. On June 15, the Court determined that the claim should proceed to a full trial, noting that the Saharawi government had prima facie ownership of the cargo. A copy of the decision in Saharawi Arab Democratic Republic and Another v Owner and Charterers of the MV ‘NM Cherry Blossom’ and Others  ZAECPEHC 31 is available at: <www.saflii.org/za/cases/ZAECPEHC/2017/31.html>. This entry was posted in Human Rights, Phosphate importation, Political issues on July 15, 2017 by appleton. A EUROPEAN COMMISSION move to renegotiate its Association Agreement with Morocco on trade, political co-operation and development issues without involving the people of Western Sahara and their UN-recognised political representatives, the Polisario Front, has been raised in the Dáil (Irish Parliament) by Sinn Féin TD Seán Crowe with the Irish Foreign Affairs Minister. Morocco has occupied much of resource-rich Western Sahara since 1975. Most of the population has been expelled by force, many to camps in the Algerian desert where 165,000 refugees still live. United Nations resolutions have called for the right to self-determination of the Saharawi people. 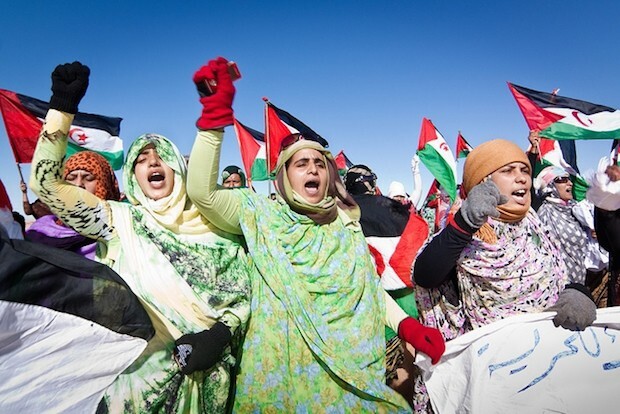 The United Nations considers the Polisario Front to be the legitimate representative of the Sahrawi people. This entry was posted in Agricultural exploitation, Fisheries exploitation, General, Human Rights, Political issues on July 1, 2017 by appleton.